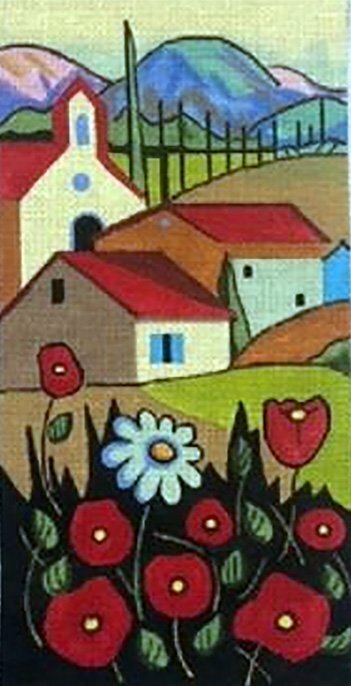 Lovely scene of rolling hills, church, homes and bright flowers. Julie Mar. 5 x 10", 18 ct.